Western clothes lead to molestation, says a politico. 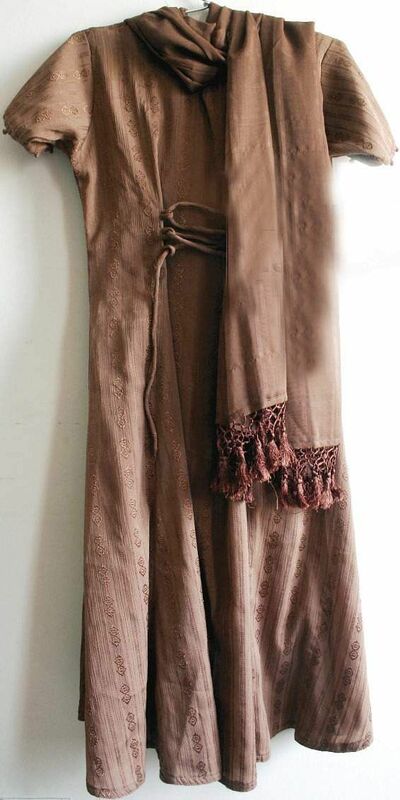 Here’s a look at clothes women say they were wearing when they were molested. BENGALURU: Bengaluru, a city where women are aiming towards setting up a public display of 10,000 garments they were molested in. Bengaluru is also home to a minister who believes wearing western clothes leads to molestation. 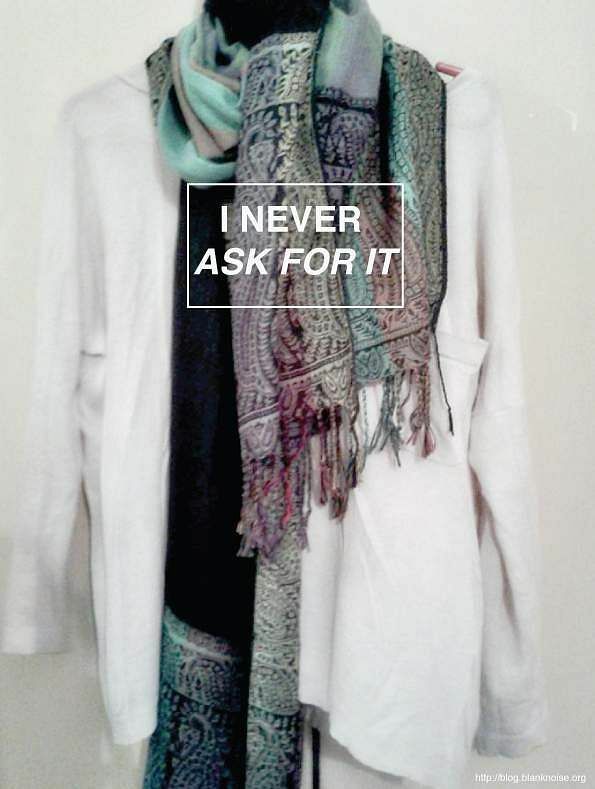 Jasmeen Patheja, founder of Blank Noise, has been collecting clothes women were wearing when they were harassed. “The only thing provoking, enabling a perpetrator is his entitlement,” she says. “Too many men have been raised to think this is the way to behave, that this is fun. That this was ‘just teasing’. This attitude affirmed especially when we have leaders saying things like “ it happens” by dismissing it off its seriousness or blaming women, their clothes, bodies, mobility, freedom. Jasmeen, whose online exhibition is titled ‘I Never Ask for It’, is obviously unhappy about Home Minister G Parmeshwar’s comment on the New Year’s Eve mass-molestation reports.“These kinds of things do happen,” he had said and added that young people who had gathered in the streets “were almost like westerners”. “Blaming youth, West, clothes, women, reveals a lack of taking ownership and responsibility. When violence is normalised, it is accepted. This itself is a problem. Every person citizen, leader, policitian, police, stranger has the ability, capacity and potential to build a safe and inclusive space. We want our elected ministers to respond with that intention and urgency. ,” she adds. Blank Noise, is a community project running in nine cities of the country that works to tackle street harassment and has been initiating a number of projects since its inception in 2003. 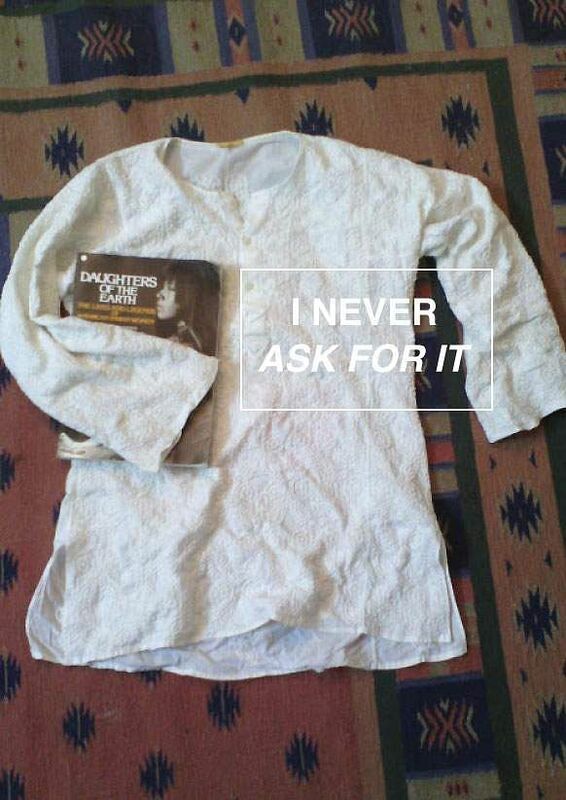 One such project is titled I Never Ask For It, a five-year misson to end victim blaming by building testimonies of clothing. 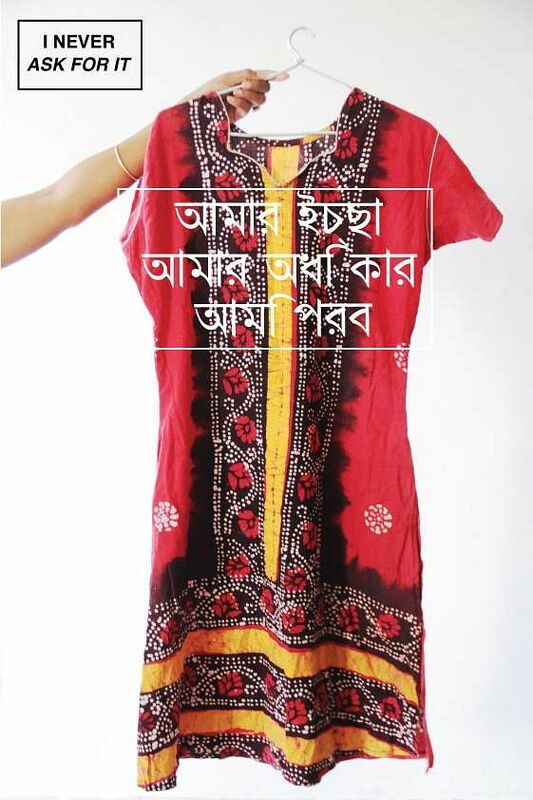 The project aims to put 10,000 garments in public display on 2019. “Most women and girls in Bengaluru and across the world can also recall the clothes they wore when they experienced any form of sexual violence. This holds mirror to the environment of victim blame; that which has long justified, excused and perpetuated sexual violence,’ says Jasmeen. In many parts of India and beyond, women and girls have been raised in an environment that repeatedly warns them to, ‘be careful’, to ‘protect yourself ’, and to not draw attention to yourself by the way you look or what you wear. Jasmeen has observed that most experiences of sexual violence remain untold because of the fear of being blamed, judged and shamed. The survivors have told her that one of the common response they get is that they were not careful enough and that they deserve it. Blank Noise shares with City Express personal accounts of women who were molested and what they were wearing. These are stories written by the women themselves. My husband died five years ago. I was harassed for wearing this red kurta. They taunted and teased me because I am a widow and expected me to wear white. My wish. My right. I will wear it. I will go to Puri beach, and let my hair down, I want to wear a pair of jeans with a sleeveless top and be photographed. I was just walking on the street going to buy milk, when a bunch of men started calling out to me. I ignored them, continued walking to the shop. On the way back I noticed that they were following me. I didn't want to show them where I lived. What does one do in a situation like that? I walked into a random building on the way home and waited for them to leave. I was walking home at 11 pm from a coffee shop— literally a 5 minute walk— and I was texting while walking. Before crossing the street I checked to see if any cars were coming and I saw a bike approaching, so I moved to the side to wait for it to pass. This same bike swerved to get closer to me, and the man sitting on the back of the bike pushed me, groped me and snatched my phone from me. I sae them drive away but only noticed the phone was gone a good 20 seconds later. My first and only thoughts were: that man just touched me. I tried to follow him to get the phone back, but I was scared and in complete shock. To this day, I'm particularly wary of men on bikes and have this absurd reflex of folding my arms when I see one approaching me.